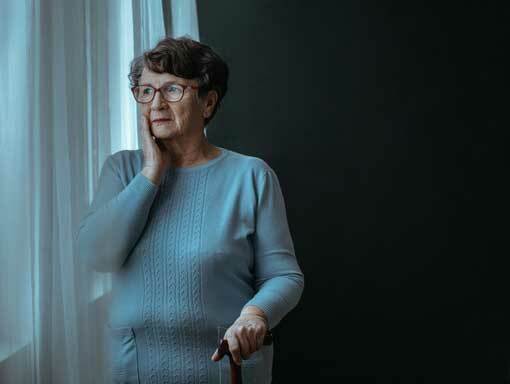 Depression is a medical disorder that impacts over 20 million American adults overall and affects more than 7 million individuals over the age of 65. Depression can affect mental, physical, emotional and spiritual well-being. There are many good and effective treatments for depression. If left untreated, depression can lead to suicide. If you have had several symptoms for more than a few days, you may be suffering from depression and should seek help. Visit the How to Find Help page on this website for guidance. How is depression different in older adults? Depression is an illness that often goes unrecognized in older adults. It is not considered a normal part of aging. Many times older adults have physical challenges which mask underlying depression. The idea that depression is shameful or a moral weakness may keep people from asking for help. Often family members notice signs of depression and encourage an older person to see a professional. Read more at National Institutes for Mental Health. Approximately 90 percent of people with depression can be treated successfully with safe medications, psychotherapy, or other treatment options. Visit the What Kind of Help is Available page on this website to learn more about current treatments for depression and those that are being researched at this time. Frequent mental distress (FMD) may interfere with major life activities, such as eating well, maintaining a household, working, or sustaining personal relationships. Hispanics had a higher prevalence of FMD (13.2%) compared to white, non-Hispanics (8.3%) or black, non-Hispanics (11.1%).